On a late 8:50 p.m. start on July 22, both the Erie SeaWolves and the Richmond Flying Squirrels started out slowly. The evening's crowd at Buck Night saw no runs scored in the first five innings, but saw plenty of rain throughout the game, since inclement weather caused the late start. But the SeaWolves ended up winning the late game by a score of 5 to 1. In the top of the third, Flying Squirrels right-handed pitcher Craig Westcott (4-9, 3.93 ERA) left the game after being hit by a line drive from SeaWolves catcher James McCann in the previous inning. Through two and one-third innings, Westcott gave up two hits, no runs, walked one, and struck out two. He was replaced by Omar Javier. Right handed pitcher Drew Verhagen (2-3, 2.81 ERA) started for the SeaWolves. He surrendered four hits, walked one, and struck out the first batter of the night in five innings on the mound. His replacement was David Kopp. Richmond was on the scoreboard first. In the top of the sixth, first baseman Angel Villalona hit a solo home run off of Kopp. To start the bottom of the sixth, the Flying Squirrels changed their pitcher again by bringing Phil McCormick out of the bullpen. Following two-thirds of an inning for McCormick, Drew Bowlin came to the mound. Second baseman Brandon Douglas earned an RBI by scoring left fielder Tyler Collins. The score was tied at one after six innings. The bats lit up for the SeaWolves in the seventh inning against Richmond's fifth pitcher of the night, Josh Osich. Designated hitter Ramon Cabrera scored shortstop Eugenio Suarez, and Cabrera came home with center fielder Daniel Fields on a three-run home run from Collins. The bases were loaded for second baseman Joe Panik in the top of the ninth. Panik was the tying run, but Ryan Robowski struck him out looking to end it. Collins was named the Iron Man of the game. He recorded two runs, two RBI, and batted 3-for-3. Kopp will be credited with the win this evening, while Bowlin lost the game for Richmond. The SeaWolves stay in second place in the west at 51-48 while Richmond falls one game closer to the western division cellar at 47-55. 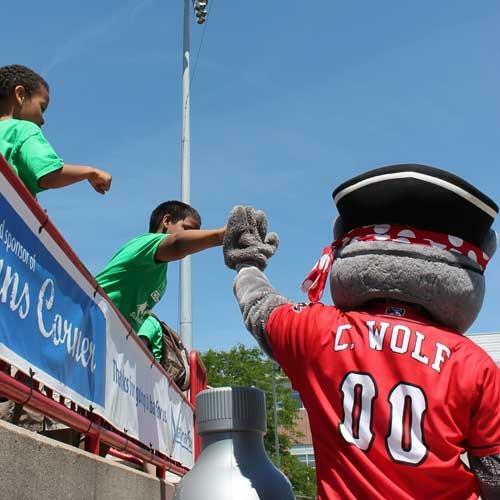 The SeaWolves take on the Flying Squirrels again on Tuesday, July 23 at 7:05 p.m. and Wednesday, July 24 at 12:05 p.m.